20th Century Fox held its presentation at CineEurope today, which included a special video message from Avatar director James Cameron, who dropped some news on his sequels Avatar 2 and Avatar 3 that are shooting concurrently. Cameron revealed in this video that Zoe Saldana, who returns as Neytiri from the original blockbuster Avatar, had already wrapped her role on Avatar 2 and Avatar 3 last Friday, adding that the director is on day 130 of performance capture on both sequels. Neither the filmmaker, or producer Jon Landau, who attended the CineEurope festivities in person, revealed when production may fully wrap on both movies quite yet. During the video, Cameron was standing in front of a gigantic tank of water, adding that water "plays a huge part" in all of the sequels, adding that they will take fans to, "never before seen parts of pandora." Cameron also added more tidbits like the fact that actress Kate Winslet, who he's reuniting with 21 years after he helped make her a star in Titanic, can hold her breath underwater for over seven minutes. Landau also introduced scenes from 20th Century Fox's Alita: Battle Angel, which Landau and Cameron are producing through their Lightstorm Entertainment company, hitting theaters this December. The last update we had on these sequels was a few weeks ago, when James Cameron claimed that his work on these Avatar sequels will "revolutionize" 3D technology, while also promising that "glasses-free 3D" will be coming at some point in the future. The directed stated that all four of his sequels will be presented in 3D and that the presentation will be, "sumptuous." He added that Hollywood has done a disservice to the future of 3D technology by embracing 3D conversions done in post-production, instead of shooting 3D natively like he's doing. James Cameron also recently compared his Avatar sequels to the Godfather trilogy, stating it's the same type of "family drama" that plays out, albeit in a much different genre and setting than director Francis Ford Coppola's iconic trilogy. 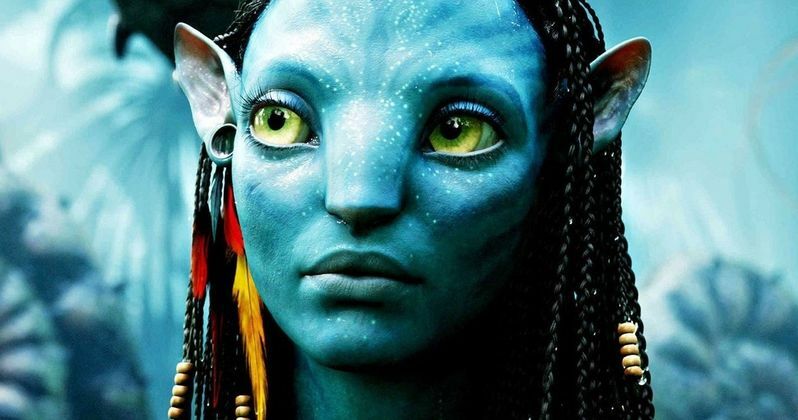 It was also revealed back in November that if Avatar 2 somehow manages to tank at the box office, the subsequent sequels will then be cancelled, but seeing how the original Avatar still holds a number of box office records, including the highest worldwide gross of all time ($2.7 billion) and the second highest domestic gross ever ($760.5 million), it seems unlikely that these sequels will flop. Then again, when Avatar 2 hits theaters on December 18, 2020, 11 years will have passed between the first movie, so its possible that the sequels won't have the same type of passionate fan base that the first movie had. Still, other movies that have debuted long after their predecessors have found success, like Jurassic World, but there is no sure thing at the box office these days, and it will be interesting to see how Avatar 2 fares in this current box office climate. You can head over to Deadline for their full report on 20th Century Fox's CineEurope presentation.